London, 24 August 2017– Advent International (“Advent”), one of the largest and most experienced global private equity investors, today announced that it has agreed to acquire Williams Lea Tag, a leading provider of marketing and communications services, from Deutsche Post DHL Group. Financial terms of the transaction are undisclosed. From its foundation in 1820 as a financial printing business, Williams Lea Tag has expanded into a global organisation which specialises in delivering integrated marketing and communications solutions for some of the largest and most recognised brands across the world. The company provides a broad range of marketing solutions, such as creative production and sourcing services alongside business process outsourcing (BPO) services, including document workflow process capabilities and the production of personalised customer communications. Headquartered in London, the company has a presence in 195 cities across 40 countries. Advent, which has a strong track-record in carving out businesses from major corporations and assisting them with their transition to independence, and Deutsche Post DHL Group have agreed to work in partnership to execute the separation in a way that will ensure continuity and quality of service to all customers of Williams Lea Tag. The investment in Williams Lea Tag is subject to customary regulatory approvals. Advent International was advised by Rothschild, Weil, Gotshal & Manges LLP, Bain & Company and Ernst & Young. 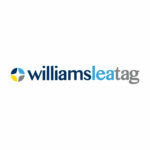 Williams Lea Tag is the leading provider of marketing and communications supply chain services. We help organizations transform business processes, enhance customer conversations and realize the potential of their brands. Our solutions combine reengineered processes, leading technologies and highly experienced collaborative client teams, delivering these solutions anywhere in the world. Founded in 1984, Advent International is one of the largest and most experienced global private equity investors. The firm has invested in over 325 private equity transactions in 41 countries and as of March 31, 2017, had €37 billion in assets under management. With offices on four continents, Advent has established a globally integrated team of over 180 investment professionals across North America, Europe, Latin America and Asia. The firm focuses on investments in five core sectors, including business and financial services; healthcare; industrial; retail, consumer and leisure; and technology, media and telecom. After more than 30 years dedicated to international investing, Advent remains committed to partnering with management teams to deliver sustained revenue and earnings growth for its portfolio companies.